It’s no secret that Americans love ice cream. Americans love ice cream so much that they consume over a half billion gallons each year — and devote the entire month of July to honor the cool treat. This year, we set out to celebrate by determining the biggest ice cream trends nationwide. Here’s what we discovered when we looked at ice cream sales by Square sellers between January and June 2018. 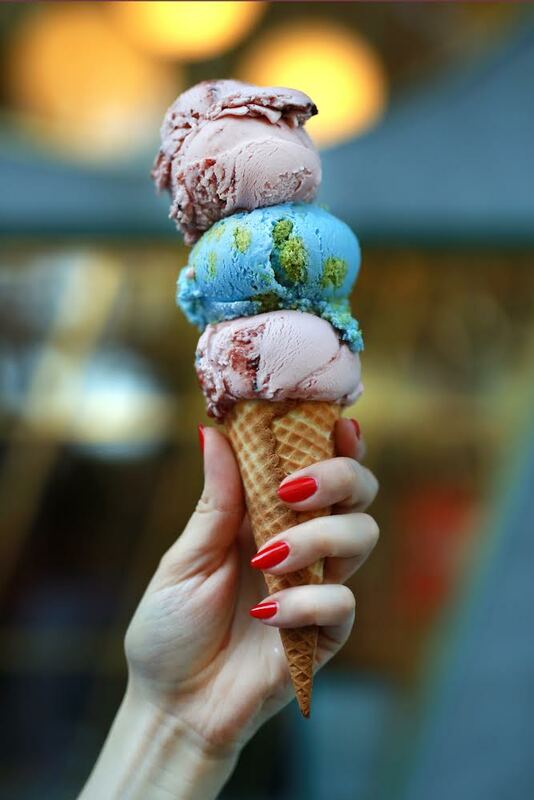 Oregon has a big sweet tooth: Oregon consumes the most ice cream per capita, followed by Montana and Maine. Massachusetts, Washington, Hawaii, Connecticut, Colorado, Alaska, and California round out the top 10. Cones take the cake: Ice cream cones are 2.3 times more popular than ice cream cups. Americans’ favorite flavors are classic: No big surprises here — the most popular ice cream flavor is vanilla, followed by chocolate, strawberry, coffee, and cookies ‘n’ cream. 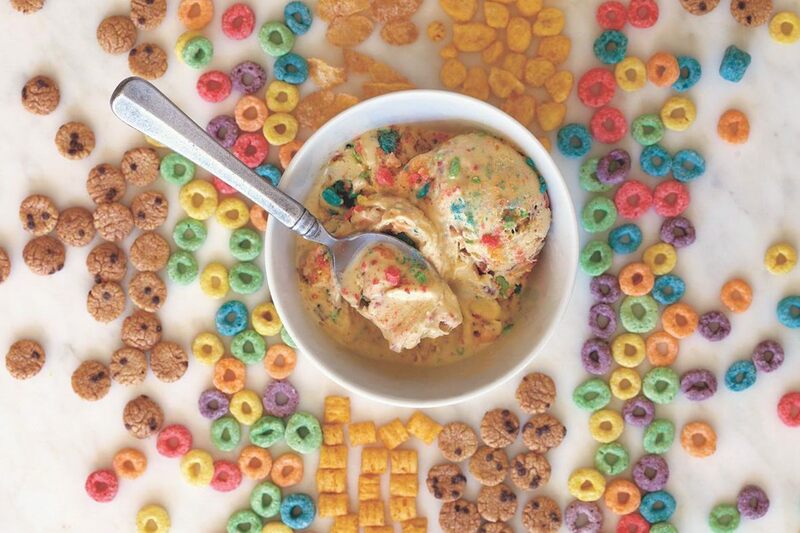 Unique flavors are gaining traction: New flavors are becoming increasingly popular. 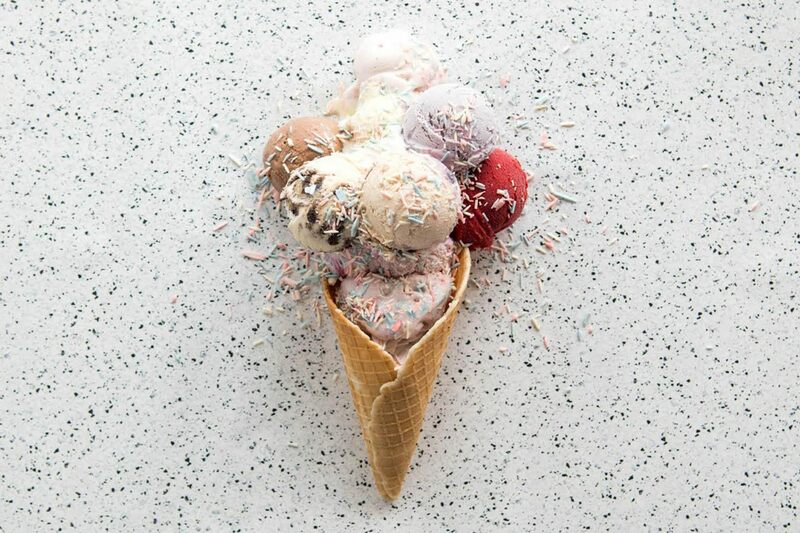 Unicorn-flavored ice cream (a colorful combination of rainbow swirls and glitter) sales have grown 191 percent, and vegan (nondairy) ice cream sales grew 153 percent this year. Matcha-flavored ice cream sales also grew 73 percent between January and June. But the numbers only tell part of the story. 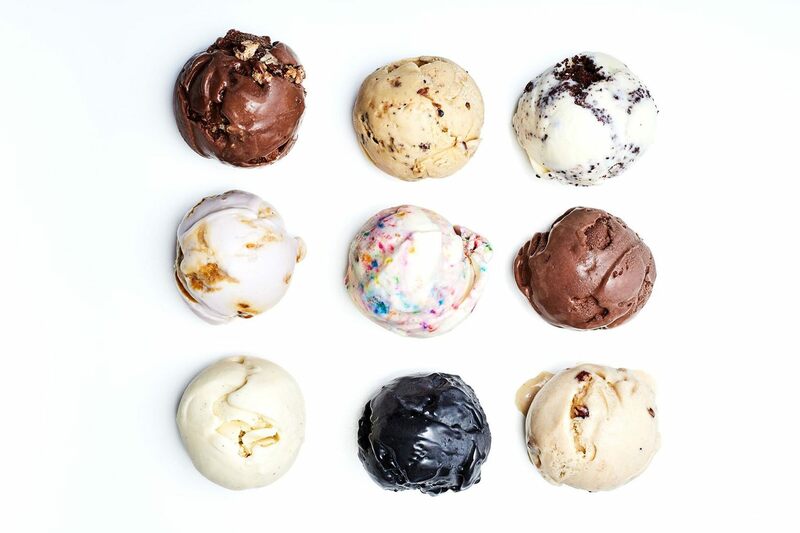 So we interviewed 10 Square ice cream connoisseurs across the country. They gave us the behind-the-scenes scoop on everything from their favorite topping to the best way to slow down an inevitable ice cream meltdown. Your favorite flavor: Dutch Cookie — it’s a spiced cookie butter ice cream and it’s kind of life changing. Your customers’ favorite flavor: Our customers love unique flavor combos. Black sesame and coconut is a top seller, and pistachio and cherry is a highly requested favorite. Your favorite topping: Who doesn’t love some rainbow sprinkles? If I’m feeling Instagram friendly, I love edible dried rose petals. Cup or cone? Waffle cone — it keeps my hands clean and it’s also kinder to the planet. What is your favorite part of selling ice cream? Ice cream has such a cult following! Over the past four years, I’ve run into customers on the street or in the supermarket who ask me to bring back their favorite flavors. It’s such an honor. Brings a big smile to my face seeing kids and grown-ups with melted ice cream on their faces and just living for it! 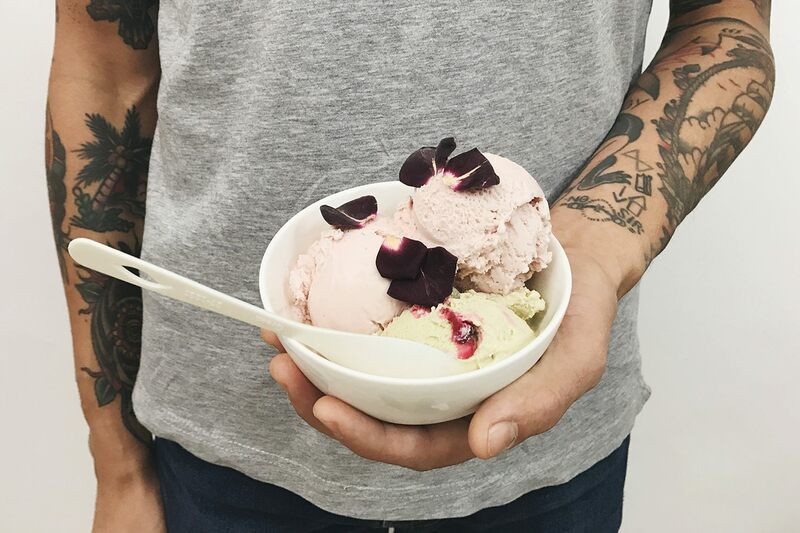 When Brian and his wife, Jackie, first opened their shop in Brooklyn on a sunny Memorial Day weekend, the team ran out of ice cream after four days. Since then, Ample Hills has grown to nine locations: seven in New York, one in New Jersey, and one at Disney World. Your favorite flavor: Peppermint Pattie. Ever since I was a kid, my favorite snack at the movies is Junior Mints. This flavor was my way of re-creating the feeling of going to the movies. Your customers’ favorite flavor: Ooey Gooey Butter Cake. It’s a dense, buttery, cream cheese–filled cake that originated in St. Louis. 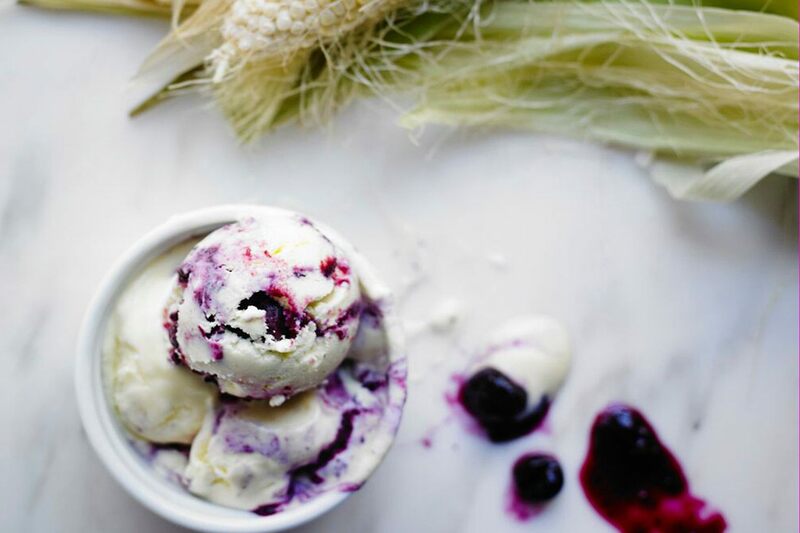 We make our own and chop it up into a cream-cheese and vanilla ice cream. It’s decadent — over the top! Your favorite topping: Peanut butter sauce and marshmallow sauce! OK, I picked two, but the combination is perfect! Cup or cone? Cup. It’s too stressful to have my ice cream melt down around my cone. What inspired you to start your shop? My wife and I have two kids. We were hungering for someplace to take them. Almost more than the ice cream, we wanted to create a sense of place, a community gathering spot. Ice cream is the perfect food to bring people together. Pete and his brother, Ben, got their start renting Good Humor ice cream trucks and selling ice cream in the New York suburbs. “After college, Ben had the idea of starting our own ice cream truck and selling good ice cream from it,” Pete said. They started in 2008 and have grown to 12 brick-and-mortar locations and trucks on both coasts. Your favorite flavor: Sicilian pistachio. Your customers’ favorite flavor: Honeycomb. 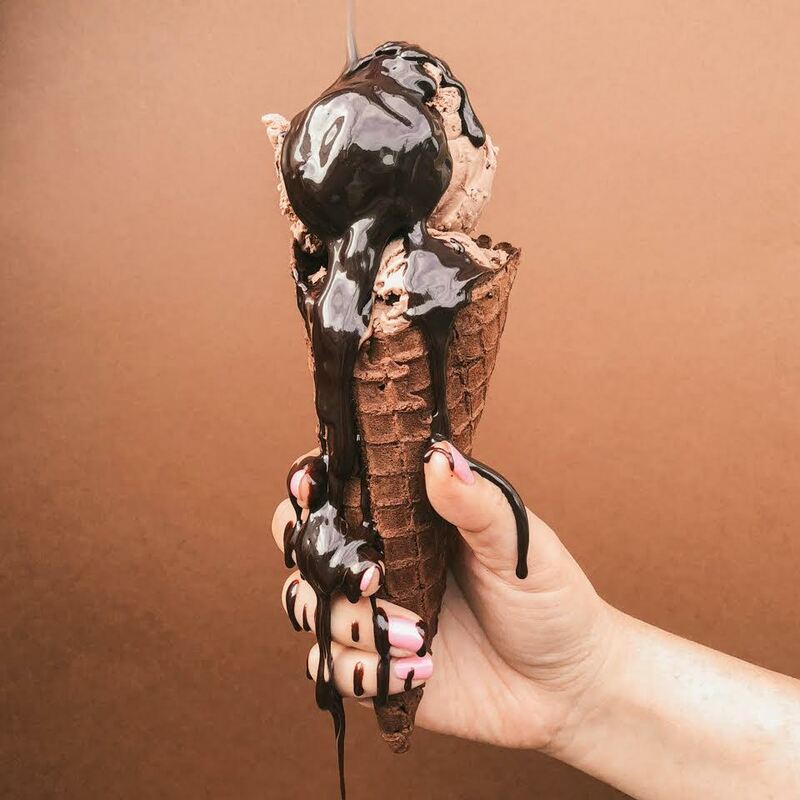 Your favorite topping: Our housemade hot fudge sauce — we use a decadent amount of Michel Cluizel Noir Infini 99% dark chocolate. Cup or cone? Homemade waffle cone. What is your favorite part of selling ice cream? Seeing humans excited and happy about where they are and what they’re about to enjoy. Best tip to keep ice cream from melting: Find some shade, relax, and don’t conk out before you’re done. What are some of the biggest challenges you’ve faced starting and running your business? Since the beginning in 2008, it’s been a constant struggle to grow the business organically without any investment money. Taking on debt as we opened up stores and added key hires always felt scary and required great trust in ourselves to succeed. Year after year, having the faith in ourselves to plod ahead and keep driving the business forward has been a test that I feel has made all of us founders stronger, braver, and more confident leaders. Molly opened her first shop in 2008. 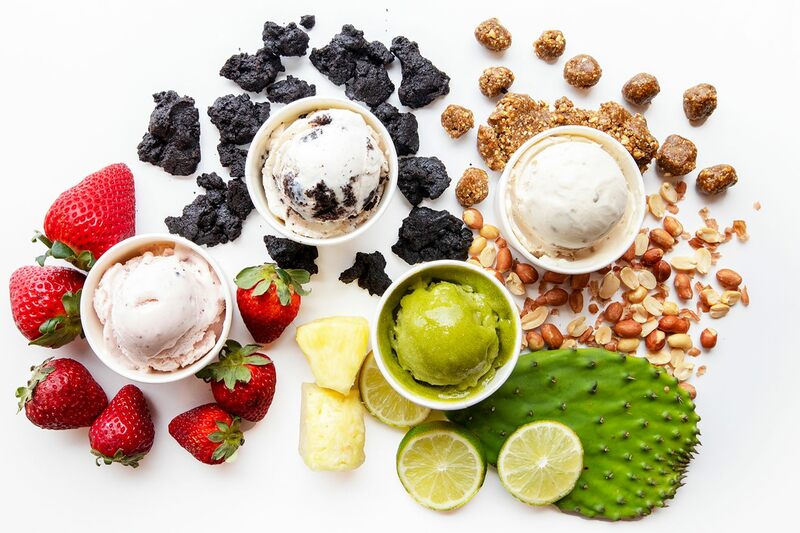 Today Molly Moon’s serves up scoops at eight locations across Seattle. Your favorite flavor: Molly Moon’s cookie dough ice cream is amazing — especially with hot fudge on top! Your customers’ favorite flavor: It’s a pretty close tie between salted caramel and cookie dough. Your favorite topping: Our deep, dark hot fudge. Cup or cone? I’m in love with our new party cones. They have a layer of organic dark chocolate around the top and are covered in sprinkles. What is your favorite part of selling ice cream? Making people happy! Best tip to keep ice cream from melting: Dry ice is amazing, but a good insulated, zippered bag with a few pints in it will do the trick for quite a while. Melt Ice Creams was born from Kari’s love for her community and all things culinary. “I wanted to bring a shop to our city that serves treats that create a little bit of happiness every single day,” she said. Your favorite flavor: Our rich, dark-chocolate coconut-milk dairy-free ice cream, Velvet Vegan. Your customers’ favorite flavor: Chocolate Chocolate or Cookie Crack. Your favorite topping: We make a macadamia-nut brittle that I love! Cup or cone? Cone, is that even a question? Queen of Cream was born from Cora’s love of making flavorful ice cream. Your favorite flavor: Brown Butter Pecan. Your customers’ favorite flavor: Sprinkle Cookie. Your favorite topping: Dark Chocolate Hot Fudge. Cup or cone? Cake cone first, waffle cone second. Best tip to keep ice cream from melting: Get a cone, lick in a circle. 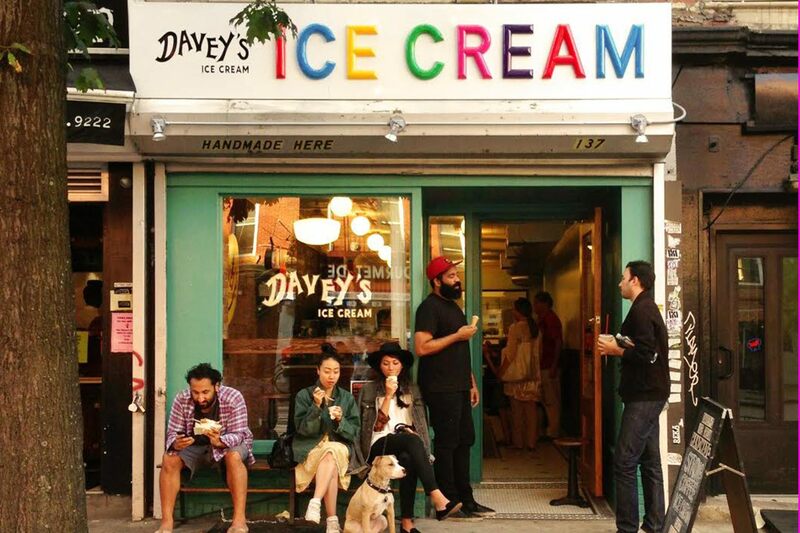 David left the art and design industry to try to blend his creative background with his love for ice cream. Your favorite flavor: Strong Coffee. Our coffee flavor is the real deal, loaded with caffeine using the best coffee beans from our best friends at Birch Coffee. Your customers’ favorite flavor: Cookies & Cream — a super classic. Your favorite topping: Rainbow sprinkles. Cup or cone? Our homemade waffle cones. They’re made fresh every morning! Best tip to keep ice cream from melting: Eat it fast! Aaron started Gracie’s in November 2014, just in time for the worst winter in Boston history. “I wanted to truly understand the desolate loneliness of a New England winter,” he said. Your favorite flavor: Black raspberry chip or chocolate. Your customers’ favorite flavor: Salty Whiskey or Cornbread and Honey. Cup or cone? Our signature item is a cone dipped in marshmallow fluff and torched with a blow torch, so . . .
What is your favorite part of selling ice cream? Coming up with new flavors (we have 133), and seeing kids’ jaws drop when you hand them a cone with rainbow sprinkles. Best tip to keep ice cream from melting: You have to bite it instead of licking it. 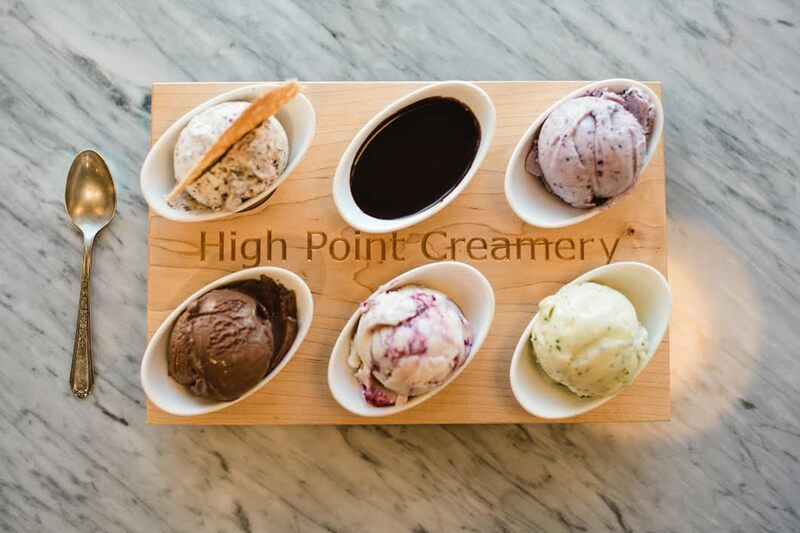 Erika and Chad started High Point Creamery out of their passion for ice cream and desire to bring joy to people. Your favorite flavor: Chad’s is Whiskey with Pistachio Brittle. Erika’s is Mint Chocolate bark. Your customers’ favorite flavor: Cookies (3 Ways) & Cream. Your favorite topping: Our hand-burnt caramel sauce. Cup or cone? Chad says cup. Erika says cake cone. What are some of the biggest challenges you’ve faced starting and running your business? Oddly enough, it’s been some of the side effects of trying to grow within Denver’s booming economy. Among the issues we’ve faced are higher rents, lower unemployment (which makes it difficult to find staff), and even silly things like permitting delays caused by the backlog of all the entrepreneurs who are trying to start new businesses here. We love Denver, and we wouldn’t want to be anywhere else, but these are definitely the types of things we really didn’t consider when we decided to open our first store. Stephen began his career with cool treats in 2010 when he started pedaling ice pops at the ultra-popular Hyppo. Mayday, Hyppo’s sister shop, is an extension of his passion for authentic flavor. Your favorite flavor: Gillespie’s Bourbon Pecan — a true Southern treat named for my family in Mississippi. Your customers’ favorite flavor: Parent Trap — peanut butter filled with oreos. Your favorite topping: Homemade sprinkles every time. Cup or cone? Cone all the way (go hard or go home, right?). What is your favorite part of selling ice cream? The delight of our customers as they explore our flavors is the absolute best. Anyone who creates food will agree that the best reward is seeing people enjoy the creation. Best tip to keep ice cream from melting: Eat faster! Besides that, loading ice cream into a Yeti tumbler (or any double-wall vacuum container) works wonders.